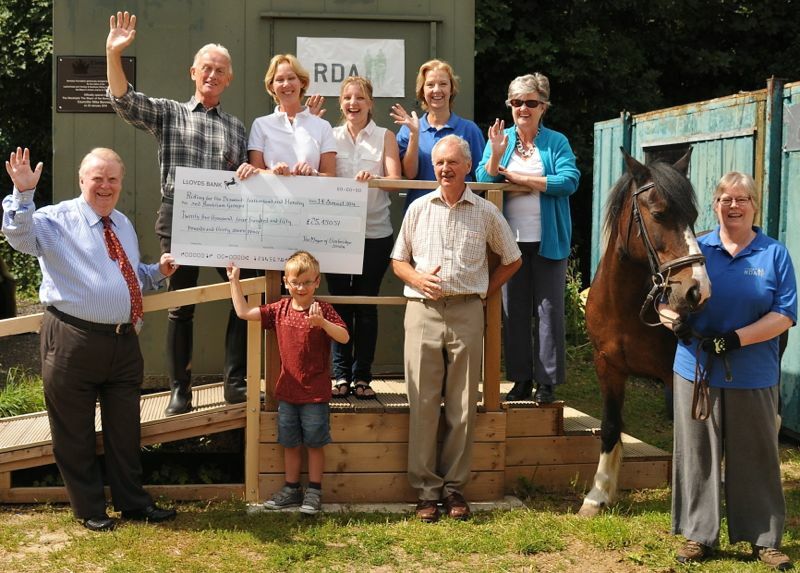 Councillor Mike Bennison, and his wife Mary came to Wyvenhoe to present a cheque for £25,000 to be shared between the two RDA groups who use these stables – Horsley & Bookham and Leatherhead Groups. Councillor Bennison was the Mayor of Elmbridge for 2013/14 and both he and his wife worked tirelessly throughout his year in office to raise this fantastic amount. In addition to this financial support, Councillor Bennison was instrumental in liaising with Berkeley Homes to provide the portacabin which has become our Learning Centre. It is already hard to see how we managed without it. It has been a wonderful year where we have had lots of fun working closely with everyone associated with the Mayor’s charity and we are truly grateful to have been given the opportunity to be part of it all.